Even in countries perceived as politically stable, political change can have a significant impact on business. This may simply be because government changes the legal framework, which as we have seen in the previous section is wide-ranging, but it could also be that a change of government changes the political attitudes towards business. This may result in less 'business-friendly' policies, changes in business taxation and regulations or, perhaps, political changes that affect the firm's marketing. reduces international competitiveness, especially against those countries which do not have minimum wage levels. Changes of this nature will affect firms significantly and may increase their costs. However, additional rights could also result in improved motivation and this may help compensate for higher costs. Businesses will look carefully at all political changes to assess the impact that they will have on them and their competitors. Political instability can have an even greater impact on business and it may make them reluctant to invest in new capital or enter new markets. It may even encourage relocation of activities to a more stable and predictable area as business owners hate risk! 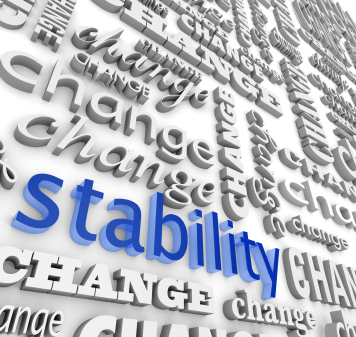 Political instability in an area where a firm operates will mean that the firm has to be very flexible and adaptable; ready to change their operations at very short notice to reflect changes in the political environment. The 2011 unrest in Tunisia is an example. Business ratings agencies such as Fitch consider political stability when advising businesses on investment opportunities.